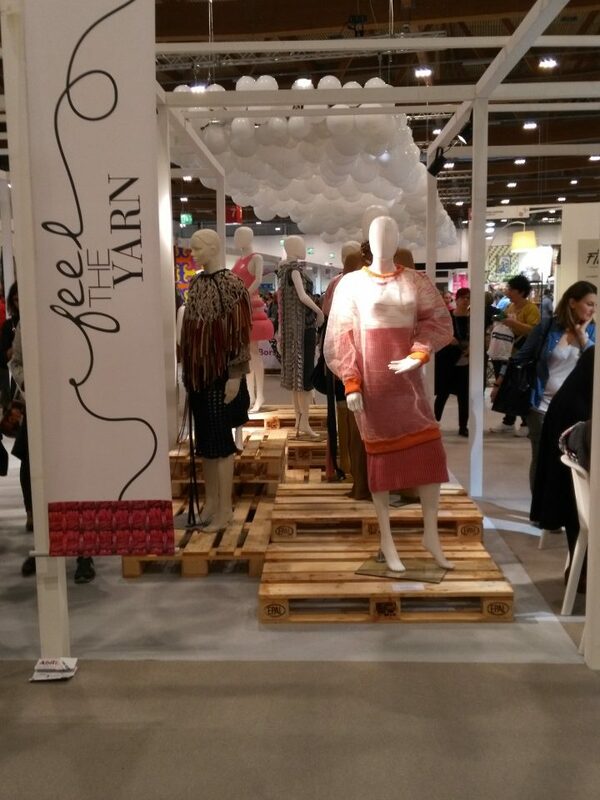 Always searching for new inspirations, ideas and quality fabrics to feed my creativity, I could certainly not miss a visit to Abilmente, thay is one of the most important shows in Italy for creative minds. 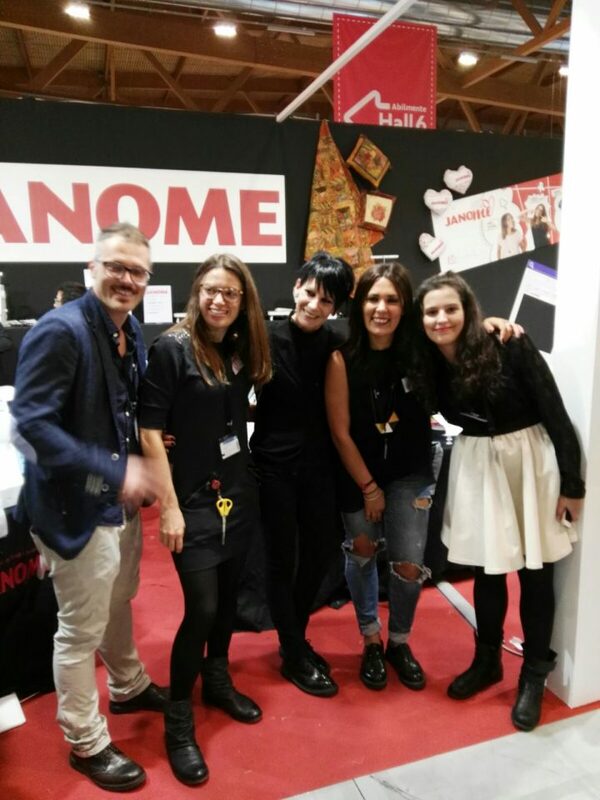 This year there was a special reason to visit it, and that is the wonderful initiative of Janome Italy, which is selecting three creative girls for 2017 to give them the opportunity to attend an intensive course to improve their potential. The 3 testimonial for this year are Appeso a un Filo(Ilaria), Briciole e Puntini (Giulia) and La Ragazza dello Sputnik (Carla). 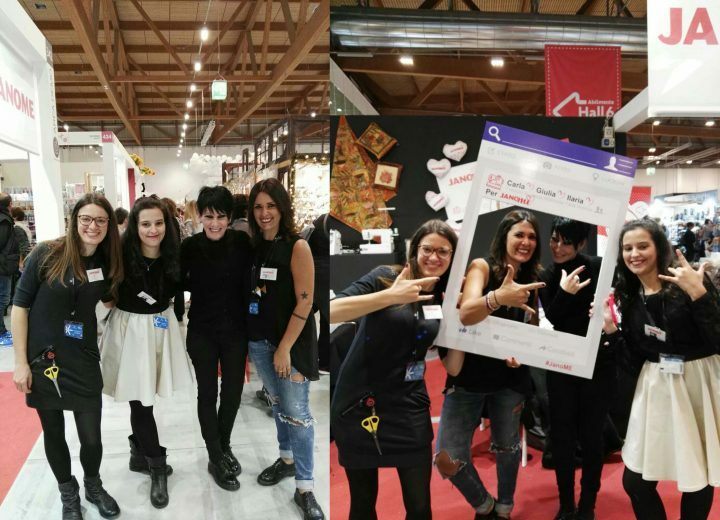 Three wonderful girls that I already knew in the “virtual” wold, thanks to the several social media, and that I finally had the chance to meet personally! I was surprised by their hospitality, and I invite everyone to follow them. I keep these photos that we made together as a beautiful reminder of our meeting. Three super creative girls, each one with her own style, character and great personality. Ilaria (Appeso a un Filo) is a very young girl, practical and very resolute, who also creates unique and original clothes, and who is the one who resembles me the most. I think Giulia (Briciole e Puntini) represents versatility, she is a craft blogger that I admire for her ability to work different materials, creating unique ideas. Carla (La ragazza dello Sputnik) is a concentrate of skill, sensitivity, with a huge heart! She creates bags, clutch bags, cases, bibs etc., and I love her for one of the many passions that unite us: animals! 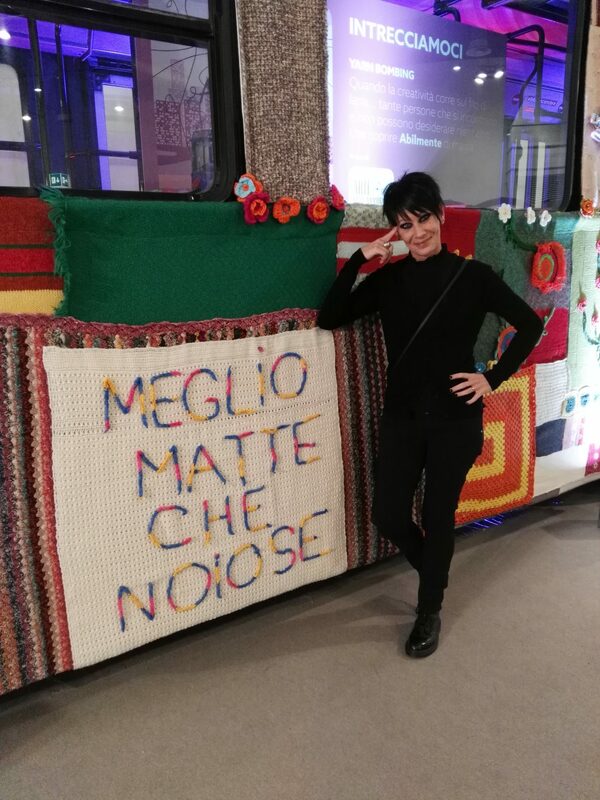 The responsible person of Janome Italia, ie their coach for the JanoMe sewing project, is Ms. Jessica Gerussi, and it would be a tremendous honor for me to work with her. A big thank you also to Pietro Fruzzetti, digital marketer, who handled the social management of the event. I sincerely hope that my application will be accepted, because these occasions come only a few times in life … so, keep your fingers crossed for me! 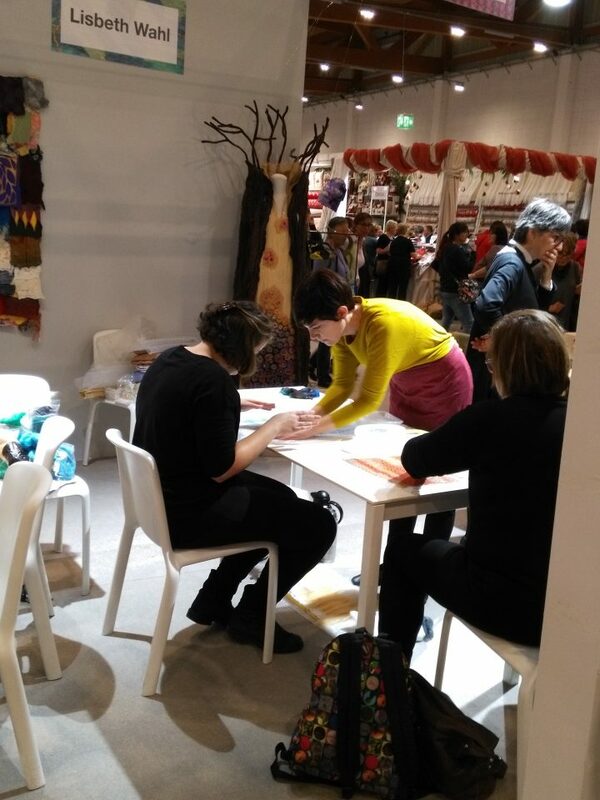 What shoud I say about Abilmente…the fair every year has given me pleasant surprises, new discoveries, new contacts for fabrics, and accessories for those who love sewing with quality materials. If I had the chance I would have bought everything in every booth! You never stop learning, and at this time I feel like a “sponge” that tries to absorb as many ispirations as possible. And it is only by confronting yourself with people in the industry, who have certainly more experience than me, and who can give me useful reccomendations that I can keep on walking along this personal journey of mine, and to propose to all of you who follow me always new ideas. Experimenting with textiles, various accessories, and maybe using materials which have not necessarily be created to make clothes is what I am determined to do in the future. And now, open your mind to creativity and imagination, to the big passions of your life, which never shoud miss, and, as usual, also to the good music….